TruMark Financial offers an International Visa prepaid card that can be used for purchases and ATM withdrawals. Load amounts range from $20 to $5,000, and funds can be added 24/7 via the online account management system, in a branch, or by calling the customer service number printed on the back of the card. The card is equipped with an EMV chip for added security, along with cardholder protections in the event you card is lost or stolen. However, a $5 replacement fee will apply. In the event the card is not used for 12 consecutive months, a $2.00 monthly inactivity fee also applies. To request a card, complete the online form or visit a TruMark Financial branch. A card fee of $2.50 will be assessed at the time of purchase. The Travelex Multi-currency Cash Passport™ Prepaid MasterCard®, which is issued by MetaBank, functions as a currency management tool. Cardholders can load up to six currencies, ranging from $50 to $10,000, and make exchanges between them as long as funds are available. However, a currency exchange fee of 5.50 percent applies. It is also equipped with an EMV chip, and no international ATM fee applies. To purchase a card, complete the online form. At checkout, you have the option to select a home delivery, retail or airport store pickup. In the event the card is inactive for 12 consecutive months, a monthly fee of $3.00 will apply. The Visa TravelMoney Card is issued directly by Visa rather than through a specific bank, so it can be purchased from a variety of stores that sell gift cards. This card is ideally suited for international travel because it offers "the security of travelers checks with the convenience of a Visa card." Use the online tool to find a retailer near you that carries Visa TravelMoney Cards for purchase. Terms and conditions vary by card. When evaluating international reloadable gift card options, you should be mindful of a few benefits and drawbacks. Convenience: Instead of having to keep track of traveler's cheques or spend time in the currency exchange line, you can whip out your card when it's time to make a purchase. Flexibility: These cards can be used at participating retailers worldwide anywhere the Visa or MasterCard logo is accepted. 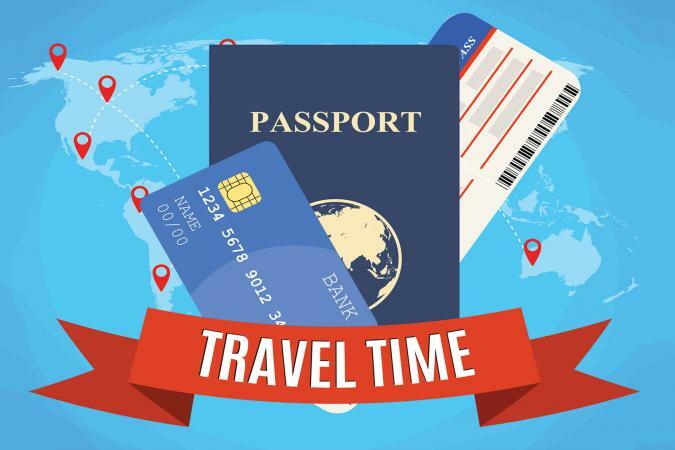 Travel-specific benefits: These cards offer benefits specific to international travelers not typically included with other prepaid debit cards. Fees: You may incur activation, transaction and reload fees. Be sure to understand all terms and conditions associated with the card you select and plan accordingly. Theft: In the event your card is lost or stolen when traveling overseas, your identity won't be at risk and you don't have to worry about your bank account being overdrawn, notes GiftCards.com. Is an International Reloadable Debit Card Right for You? Before making a purchasing decision, carefully review the cardholder agreement. That way, you'll have a thorough understanding of the terms, conditions, fees and any other pertinent information to help you determine if the card is a good fit.